WhatsApp beta for Android 2.18.216: what’s new? WhatsApp has recently submitted a new update through the Google Play Beta Program, bringing the version up to 2.18.216 version. The Mark as Read shortcut feature in the Notification Center is not available yet. The Mute shortcut is now enabled for everyone on 2.18.216. If the feature is not enabled for you, please back up your chat history and reinstall WhatsApp. WhatsApp has now released a new feature for any Android beta user, that allows to quickly mute a chat, directly from your Notification Center. Let’s discover how it works. The Mute shortcut won’t appear if you have received less than 51 messages: in this situation, another shortcut will appear in future, that is the Mark as Read shortcut, and we have talked about it here. 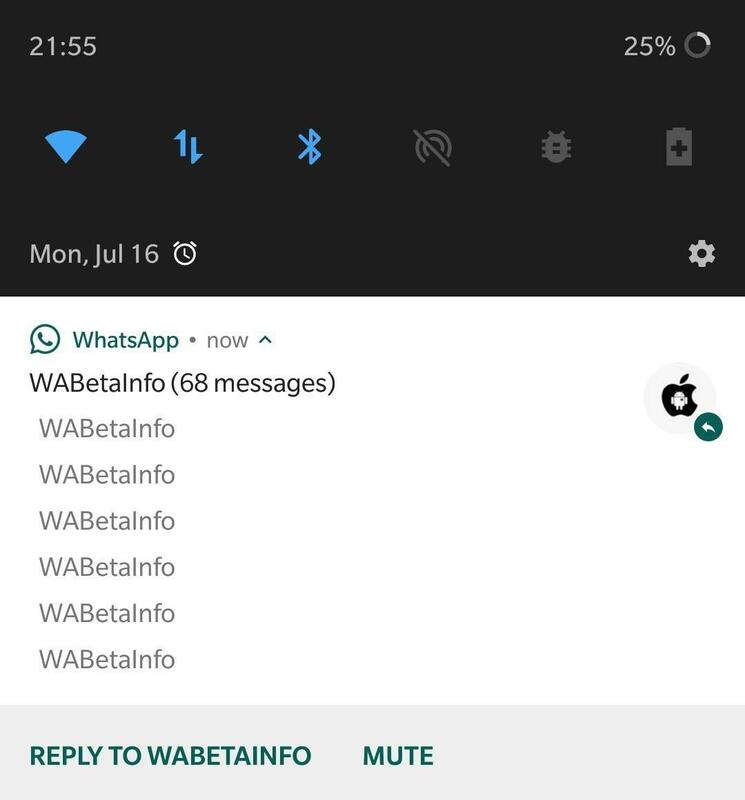 Previous PostPrevious WhatsApp beta for Android 2.18.214: what’s new? Next PostNext WhatsApp is globally rolling out the Suspicious Link Detection feature for Android!